Taking Note: Pats' financial losses not unexpected ... Tigers roar back in Regina ... Seattle back on top in U.S.
Pats' financial losses not unexpected ... Tigers roar back in Regina ... Seattle back on top in U.S. When Bill Peters was the head coach of the Spokane Chiefs, I always made a point of stopping for a post-game conversation. Because he never met a question he wouldn’t answer and because he always had questions of his own. He always wanted to know what was happening. On Friday, Peters, now the head coach of the NHL’s Carolina Hurricanes, was asked about his club’s goaltending and whether Cam Ward and Eddie Lack were involved in any kind of competition for the starter’s role. “You've gotta push," Peters replied. “The one guy's played 10 games. Eddie's played 10 games and was poor in his last outing, let's not kid ourselves, right? Still, it sounds as though Peters will be giving Lack 2-4-2, 3.33, .873) at least one more opportunity. That’s gold if you’re a sports journalist, something there is darn little of these days. The same holds true for comments from Claude Julien, the head coach of the Montreal Canadiens. Asked about defensive zone adjustments his club has made, Julien chose to answer the question with an honest explanation, rather than bafflegab. “The biggest thing is we call it a bit of a swarm, which all teams do,” Julien explained. “When the puck’s in the corner we’re trying to outnumber teams. If there’s two in there, we’re three, but we’re tight. We’re not giving them an opportunity to make plays. “I think we’re closing the play a little quicker, so instead of being passive we’re a little bit more aggressive, but we can be more aggressive because we’ve got more people there to give you some second layers and third layers. That’s what we’ve done. “I think we’ve closed the play a little quicker. Where I think we’ve improved a lot from the start is we were doing it well, but once we got the puck we were having trouble getting our breakouts from that swarm. Wonderful. Just wonderful. Here’s hoping coaches everywhere are paying attention. The Vancouver Giants have signed F Aidan Barfoot, who was a sixth-round pick in the WHL’s 2016 bantam draft. Barfoot, from Richmond, B.C., has 12 goals and 13 assists in 33 games with the Valley West Hawks of the B.C. Major Midget Hockey League. According to the numbers, the Regina Pats have been one of the WHL’s biggest money-losing franchises over the past couple of seasons. 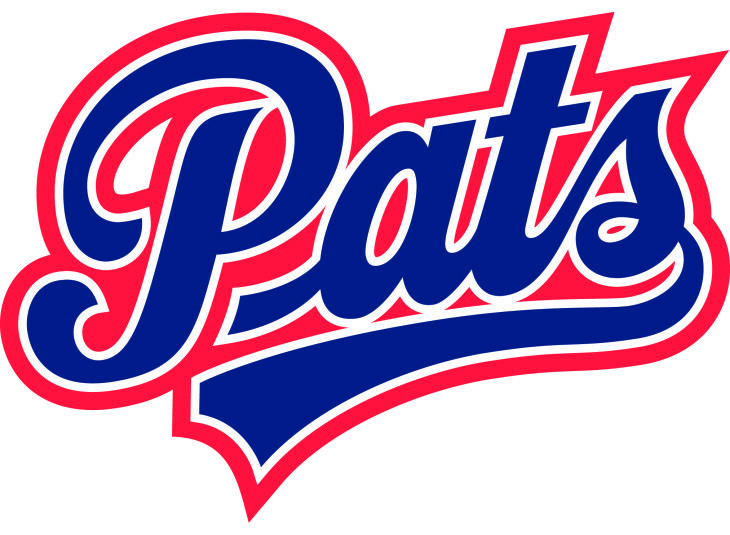 As Greg Harder of the Regina Leader-Post reports: “According to financial details revealed this week, the Pats recorded the largest deficit in the 22-team WHL during the 2014-15 season ($1.2 million). Their net loss was just under $900,000 in 2015-16, bringing the total deficit to more than $2 million despite back-to-back winning seasons and two straight trips to the second round of the playoffs.” . . . The figures were contained in financial statements that were released as more than 400 former and present CHL players seek certification for a class-action lawsuit that asks that teams pay minimum wage and other benefits. . . . Despite losing money, the Pats’ ownership group, Queen City Sports and Entertainment Group, isn’t concerned. In fact, Anthony Marquardt, the group’s president, explains that buying the franchise was a long-term investment and that the owners new going in that there would be some expenses in the early days. . . . Harder’s story is right here. The lawsuit involving the CHL and its teams continues, with things now having shifted to a court in Toronto. As Rick Westhead of TSN reports right here, the focus has turned to the value of franchises, especially those that were sold between 2012 and 2016. . . . Westhead’s latest story is right here. 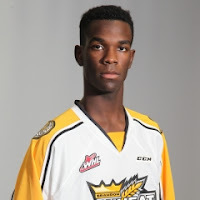 has a goal and eight assists in 53 games this season. . . . F Nolan Patrick, F Tyler Coulter and F Reid Duke also had three points each for Brandon. . . . Patrick’s 18th goal got Brandon started at 19:47 of the first period. Patrick, who also had two assists, now has 42 points in 27 games. . . . Patrick’s first assist was the 200th point of his career. It came in his 157th game. . . . Brandon went ahead 2-0 when F Ty Lewis got his 29th goal, at 1:41 of the second period. . . . F Jake Kryski’s 18th goal, on a PP, got Calgary on the scoreboard at 5:01. . . . The Wheat Kings got the game’s last four goals, from F Reid Duke (35), F Tyler Coulter, who scored twice to give him 29, and F Stelio Matheos (24). Two of those came via the PP. . . . Duke and D James Shearer each had two assists, with Mattheos, Lewis and Coulter each getting one. . . . Brandon G Logan Thompson stopped 36 shots, while Calgary’s Kyle Dumba blocked 27. . . . G Cody Porter was back on Calgary’s bench after not having played since Jan. 1. . . . The Hitmen also had F Lucas Cullen back for the first time since Dec. 10. . . . Brandon was 2-3 on the PP; Calgary was 1-4. . . . The Wheat Kings (29-26-10) had lost their previous six games (0-4-2). They hold down the Eastern Conference’s first wild-card spot. . . . The Hitmen (24-30-10) have lost three straight. They are tied with Saskatoon for the conference’s second wild-card spot. Each has eight games remaining. . . . The Wheat Kings are celebrating their 50th anniversary and as part of the celebrations are naming the top 50 players. Last night, they introduced a fourth line of Jordin Tootoo, Matt Calvert and Mark Stone. . . . Announced attendance: 4,008. Glass breaks in Tips zone during warm up and I had a piece of 'rum cake' from Judy the usher in broadcast booth. Could be a crazy night. Silvertips, 3-2. . . . F Reid Gardiner scored twice for Kelowna, giving the visitors a 1-0 lead at 1:22 of the first period and putting them ahead 2-1 at 19:11 of the second. . . . Everett D Jake Christiansen (6) tied the game 1-1 at 7:50 of the second. . . . F Patrick Bajkov’s 26th goal, at 11:40 of the third period, pulled Everett into a 2-2 draw. . . . D Kevin Davis had two assists for Everett, with Bajkov and Christiansen adding one each. . . . G Michael Herringer stopped 34 shots for the Rockets through OT, then was perfect in the shootout. . . . Everett got 23 saves from G Carter Hart. . . . Kelowna was 0-3 on the PP; Everett was 0-4. . . . F Tomas Soustal was among Kelowna’s scratches. . . . Mitch Love, Everett’s veteran assistant coach, had a $500 hole in his wallet. That’s how much he was fined by the WHL after getting tossed from a Wednesday game against the visiting Spokane Chiefs. . . . The Rockets (39-21-5) have won three in a row. They have moved into second place in the B.C. Division, one point ahead of Kamloops. . . . The Silvertips (38-14-11) have lost three straight (0-2-1). They slipped to second in the U.S. Division, one point behind Seattle. Everett holds two games in hand. . . . Announced attendance: 4,811. The WHL schedule is so dumb that the Winterhawks hadn't played the Giants until recently and now we have like 5 games in 3 weeks. tripleheader. The Winterhawks had beaten the Giants, 5-1, in Langley, B.C., on Wednesday night. They’ll play again in Portland tonight. . . . Last night, the Giants forced OT with two late third-period goals. . . . D Jordan Wharrie scored his fourth goal at 18:40 and F Jordan Borstmayer tied it with his sixth goal, with just 42.8 seconds showing on the clock. . . . F Keegan Iverson (21) had given Portland a 1-0 lead 47 seconds into the second period. . . . The Giants took a 2-1 lead on goals from F Ty Ronning (24) at 7:41, and F Jack Flaman (14), at 8:32. . . . The Winterhawks scored the next three goals, with F Skyler McKenzie getting No. 37, on a PP, at 10:50; F Brad Ginnell (6) scoring at 15:33; and F Matt Revel getting his ninth goal, and second in three games with Portland, at 16:37 of the third period. . . . F Cody Glass had two assists for the winners, with Iverson and McKenzie getting one each. . . . Flaman and Ronning had an assist each for the Giants. . . . G Cole Kehler stopped 27 shots for Portland, 10 fewer than Vancouver’s Ryan Kubic. . . . Portland was 1-3 on the PP; Vancouver was 0-3. . . . The Giants had F Tyler Ho, a third-round pick in the 2015 bantam draft, and D Bowen Byram, the third-overall selection in the 2016 draft, in their lineup. . . . Portland (34-26-4) has won two in a row. They are in possession of the Western Conference’s second wild-card spot. . . . The Giants (19-40-6) have lost five straight (0-4-1). . . . Announced attendance: 5,469. 2 victory over the Raiders. . . . 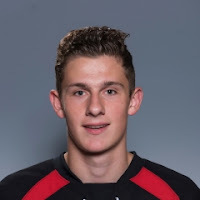 The Hurricanes took a 2-0 lead on first-period PP goals from Alfaro, at 8:44, and F Zak Zborosky, at 12:31. . . . F Simon Stransky got the Raiders close with his 18th goal at 7:58 of the second period. . . . 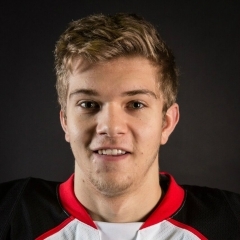 The Hurricane regained their two-goal lead when F Egor Babenko (21) scored at 16:14. . . . 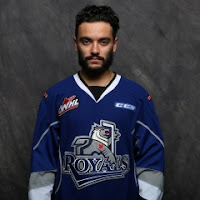 Prince Albert D Max Martin (7) narrowed the lead at 17:30. . . . Lethbridge put it away on third-period goals from F Tyler Wong, who leads the WHL with 48 goals, at 7:30, and Alfaro, his 25th, on a PP, at 13:47. . . . 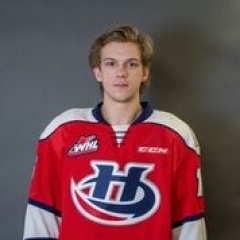 The Hurricanes got two assists from each of Wong, D Brennan Menell and F Giorgio Estephan. . . . G Ryan Gilchrist stopped 38 shots for Lethbridge, while the Raiders got 36 stops from G Nic Sanders. . . . Lethbridge was 3-6 on the PP; Prince Albert was 0-6. . . . The Hurricanes (41-17-7) have won five in a row. They are second in the Central Division, four points behind Medicine Hat. . . . The Raiders (17-41-7) had points in their previous two games (1-0-1). . . . Announced attendance: 2,026. Can't see any further discipline to Loewen's major for x-checking. Looked like a glove to face...Ruopp went down. Popped up fine all good. last played on Jan. 29. He had 24 points, 11 of them goals, in 26 games with the Cougars, who acquired him from the Prince Albert Raiders in November. . . . F Kody McDonald gave the hosts a 1-0 lead, on a PP, at 2:05 of the first period. . . . Kamloops tied it on F Luc Smith’s 12th goal, at 7:30. . . . McDonald, who has 15 goals, put his guys back out front at 10:02. . . . The Cougars then took control with four second-period goals in a span of 10:06. . . . F Colby McAuley (23) scored at 1:50, with F Nikita Popugaev (27) scoring at 4:05, Guhle gett his 13th goal at 9:33, and F Radovan Bondra putting in No. 31, at 11:56. . . . The Blazers got to within 6-3 on goals from F Travis Walton (5), at 15:10, and F Quinn Benjafield (13), on a PP, at 17:52. . . . The Cougars put it away on a pair of goals from F Jared Bethune, at 19:31 of the second and 3:24 of the third. . . . F Collin Shirley finished the scoring with No. 26, shorthanded, at 14:26. . . . The Cougars got two assists from each of D Sam Ruopp, F Josh Curtis and F Jesse Gabrielle, with Bethune, Bondra, McDonald and McAuley adding one apiece. . . . F Lane Bauer had two assists for Kamloops, and Shirley had one. . . . G Ty Edmonds earned the victory with 27 saves. . . . Kamloops starter Connor Ingram stopped 27 of 32 shots in 31:07, with Dylan Ferguson coming on in relief to allow three goals on 18 shots in 28:53. . . . Prince George was 1-2 on the PP; Kamloops was 1-4. . . . It was the second time in a week that Kamloops allowed eight goals — they were beaten 8-2 by the visiting Kelowna Rockets — after not having done so since Jan. 22, 2016. In that one, the Blazers lost 9-4 in Prince George. . . . The Cougars continue to play without F Brad Morrison (undisclosed injury). . . . Kamloops lost F Jermaine Loewen to a cross-checking major and game misconduct at 11:24 of the third period. . . . Prince George (41-20-5) now leads the B.C. Division by four points over Kelowna. . . . Kamloops (38-22-6) is third, one point behind Kelowna. . . . The two teams are scheduled to meet again tonight in Prince George. . . . The Cougars went into Friday's game having gone 0-7-2 in their previous nine games against teams in possession of playoff spots. They hadn’t beaten a team with a winning record since Jan. 18 when they scored a 6-5 shootout victory over the visiting Portland Winterhawks. . . . Announced attendance: 4,273.
two teams — at least according to the overall standings. . . . Regina led 3-0 early in the second period on goals from F Austin Wagner (28), at 4:48 of the first period, F Nick Henry (32), at 1:37 of the second period, and D Josh Mahura (15), at 2:32. . . . Henderson’s sixth goal, at 11:43, cut into the lead and F Mark Rassell’s 33rd goal got the visitors to within one at 17:10. . . . F Sam Steel’s 45th goal, shorthanded, at 18:46 seemed to put the Pats back in control. . . . However, the Tigers stormed back with four third-period goals. . . . D Clayton Kirichenko got No. 11 at 1:58 and F Chad Butcher (24) tied it at 13:49. . . . F Steve Owre broke the tie with his 24th goal, at 15:50, and F Zach Fischer got the empty-netter at 19:19. 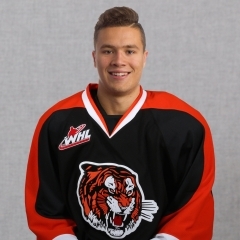 He’s got 30 goals. . . . Henderson has 18 points, five of them goals, in 19 games with the Tigers, who acquired him from the Saskatoon Blades. He had started the season with the Spokane Chiefs. Prior to joining the Tigers, Henderson had two goals and 15 assists in 132 games. . . . Owre, Butcher, Rassell and Fischer each had an assist. . . . The Pats got two assists from F Adam Brooks, with Steel adding one. . . . G Michael Bullion, in his third straight start for the Tigers, made 33 saves. . . . G Tyler Brown stopped 34 shots for Regina. . . . Medicine Hat was 0-3 on the PP; Regina was 0-4. . . . The Tigers (46-18-1) have won four in a row to close within three points of the Pats, who lead the overall standings. . . . Regina (44-11-8) has lost three in a row (0-2-1) for the first time this season. . . . Announced attendance: 5,759. At Saskatoon, G Logan Flodell blocked 20 shots to lead the Blades to a 4-0 victory over the Kootenay Ice. . . . Flodell, who turned 20 on Feb. 10, has three shutouts this season and six in his career. . . . F Jesse Shynkaruk gave the Blades a 1-0 lead with his 28th goal just 54 seconds into the game. . . . Saskatoon went ahead 2-0 on a PP goal by F Mason McCarty, his 18th, at 17:41. . . . F Kirby Dach added insurance with his fourth goal, at 4:29 of the second period, and F Markson Bechtold put it away with his eighth goal just 15 seconds later. . . . F Michael Farren had three assists, with McCarty, Bechtold and Dach adding one apiece. . . . The Ice got 24 saves from G Jakob Walter. . . . The Blades (25-31-8) had lost their previous two games. They now are tied with Calgary for the Eastern Conference’s second wild-card spot. . . . The Ice slipped to 14-39-10. . . . Announced attendance: 3,783. 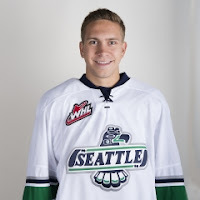 At Kent, Wash., the Seattle Thunderbirds built a 3-0 lead and held on for a 3-2 victory over the Tri-City Americans. . . . Seattle G Rylan Toth stopped 27 shots in recording his WHL-leading 34th victory. . . .
Seattle F Mathew Barzal, playing in his 200th regular-season game, scored his 10th goal for a 1-0 lead 57 seconds into the first period. Barzal also had an assist on Seattle’s third goal. . . . F Sami Moilanen scored Seattle’s other two goals, giving him 20. He counted at 11:17 of the first period and again at 13:38 of the second. . . . D Dylan Coghlan (13) cut into Tri-City’s deficit at 8:27 of the third period, and F Kyle Olson’s 18th goal made it a one-goal game at 11:05. . . . F Nolan Volcan had two assists for Seattle. . . . Coghlan added an assist to his goal. . . . The Americans got 20 saves from G Rylan Parenteau. . . . There was only one minor penalty called in the game. . . . Tri-City was 0-1 on the PP; Seattle’s unit never got on the ice. . . . Seattle F Mathew Wedman was back in the lineup after missing 25 games with an undisclosed injury. . . . 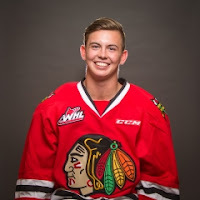 The Thunderbirds remain without three top-end players — D Ethan Bear, D Jarret Tyszka and F Scott Eansor. . . . D Tyson Terretta, who turned 17 on Feb. 22, made his WHL debut with Seattle. From High River, Alta., he was a sixth-round pick in the 2015 bantam draft. He had a goal and nine assists in 34 games with the midget AAA Foothills CFR Chemical Bisons of Strathmore, Alta. . . . The Thunderbirds (41-18-6) have points in four straight (3-0-1). They now lead the U.S. Division by a point over Everett. . . . The Americans (38-24-3) had won their previous seven games. They are third in the U.S. Division, eight points behind Everett and seven in front of Portland. . . . Announced attendance: 5,066.
period. . . . Hannoun, who has 23 goals, also scored at 16:43 of the second to cut the deficit to one. . . . F Matt Phillips snapped the tie with his 44th goal, at 13:54 of the third period. . . . F Jaret Anderson-Dolan had given Spokane a 1-0 lead with his 35th goal, at 4:54 of the first period. . . . The Royals tied it on a PP as F Jack Walker got his 28th goal, at 18:27. . . . The Chiefs went up 3-1 on second-period goals from F Ondrej Najman (5), at 1:51, and F Ethan McIndoe (17), at 14:46. . . . Phillips and F Vladimir Bobylev had two assists each for the Royals, with Walker adding one. . . . G Griffen Outhouse stopped 26 shots in earning his franchise-record 33rd victory of the season. G Coleman Vollrath had set the previous record last season. . . . 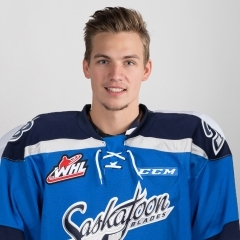 The Chiefs got 28 saves from G Jayden Sittler. . . . The Royals were 3-3 on the PP; the Chiefs were 0-2. . . . Victoria (36-23-5) has points in six straight games (5-0-1). It holds down the Western Conference’s first wild-card spot and is fourth in the B.C. Division, five points behind Kamloops. . . . The Chiefs slipped to 26-28-9. They have nine games remaining and are 11 points out of a playoff spot. . . . Announced attendance: 6,148. Want to send out a big congrats to @outhouse40 for passing my single season wins record tonight with @victoriaroyals with 33! Well deserved! Tri-City at Kelowna, 7:05 p.m.
Vancouver at Portland, 6 p.m. Swift Current at Red Deer, 7 p.m.